Powerful music search is a baseline requirement for all of us which is why we're proud of the metadata and SonicSearch technologies that power the SourceAudio platform. Search plays a critical role on both the buy and sell sides of our music licensing and content production businesses. But, there are additional ways we can connect buyers and sellers on our platform that don't rely purely upon search and discovery. 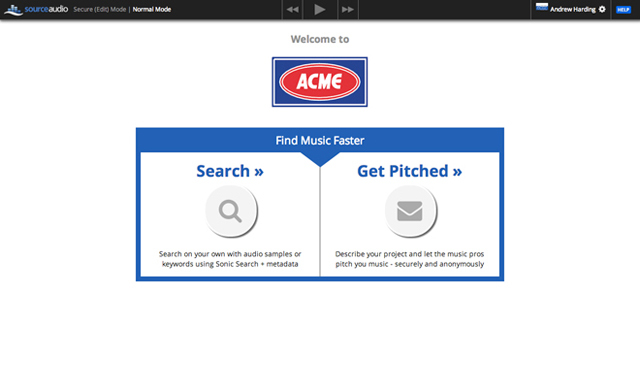 We are proud to announce the new Pitch & Request System integrated into ever single SourceAudio site. Everyone in our space is familiar with sending or receiving music requests which initiates usually a phone or email exchange, a music search, and then a music pitch. SourceAudio's new Pitch & Request System replicates this real-world experience, but we make it faster, easier, and we open up both buyers and sellers to an ocean of new opportunities. Add a short comment at the bottom of the form, click the "Submit My Pitch" button, and you're done. 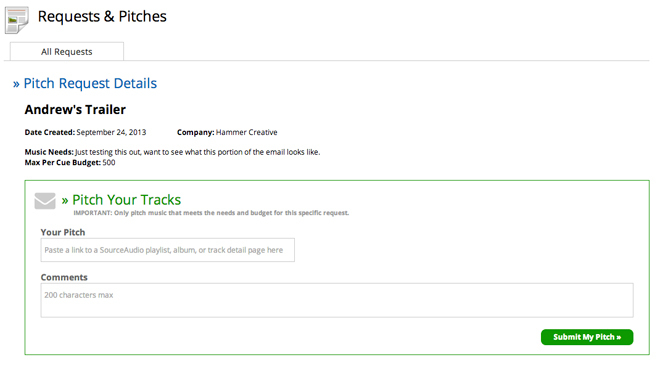 The buyer will instantly receive an email including your music pitch link, your comments, and then of course your contact info should they wish to contact you about your music and their project. This new Pitch and Request System launch is Phase 1 of 2 for what we have planned. Phase 2, set to launch in November, will include a new Pitch Request Center located at SourceAudio.com. 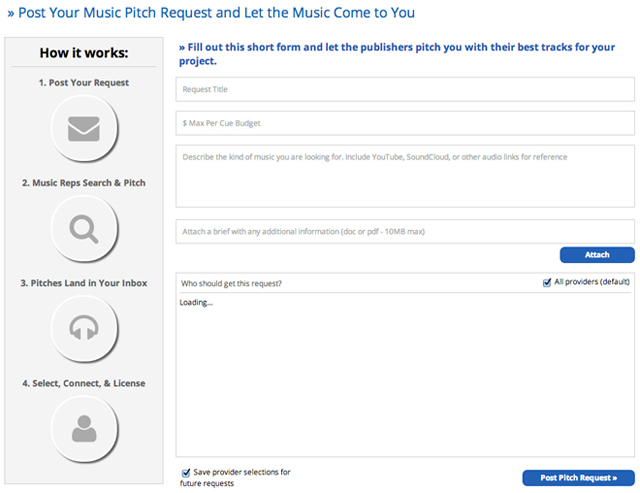 Anyone in need of music - a SourceAudio network or non-member - can fill out a general Pitch Request Form and music publishers/sellers on the platform will have the opportunity to pitch music for these new opportunities as well. It will open up a ton of new opportunities for everyone on the network. So, post your requests, submit your pitches and discover new opportunities to connect with other members of the SourceAudio network! Best of luck to everyone!